A loan of $1,350 helped to purchase fertilizer for banana plants. 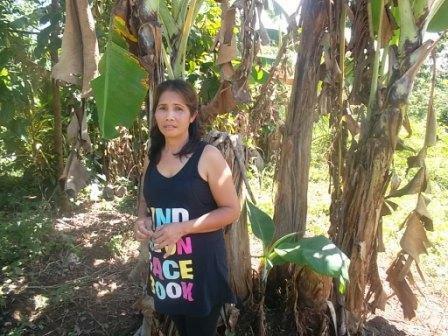 Rosalinda is a mother of three children, at the age of 43 she wants the best for her family. She engages in banana production as a source of living with the help of her husband, who is also a farmer. She aims to have a better income for her family. So, she decided to borrow a loan to purchase fertilizer for her banana plants to produce good quality bananas and to be able to cater orders to the market that will create greater income. Rosalinda's plan for the future is to buy a new vehicle to use for delivery of her banana products. Gata Daku Multi-Purpose Cooperative (GDMPC) was founded in 1992 by 32 farmer-members to empower people by providing livelihood opportunities and other support services. Today, it has over 15,000 members located in upland, lowland and coastal regions of the Philippines, and offers credit, savings, education, and various social services. As a cooperative, GDMPC engages borrowers in decision-making, representation and profit sharing. Two poverty-focused programs support the majority of GDMPC’s clients, including women and extremely rural members. Kiva’s lenders’ funds enable GDMPC to reach these clients in a country where rural poverty is all too common.